Remember those birthday parties you anxiously and excitedly waited to attend as a kid? Maybe you were going to laser tag, an arcade, or a mini golf course with the coolest kids in school. Well, you’re never too old to enjoy these activities! Grab your group of friends and relive your childhood. You definitely won’t regret it! 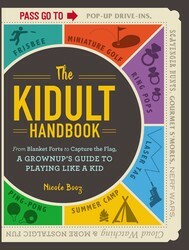 Nicole Booz, author of THE KIDULT HANDBOOK, shares 3 games to shake up your Friday night. Nailing a hole in one as you cruise across the green and laughing with friends to see who has the best shot is an excellent way to spend a Saturday afternoon. Grab a club and a golf ball and put your hand-eye coordination to the test! A game of putt-putt is a surefire way to bring out your competitive side. The player with the highest score buys a round of drinks! Mini golf is an all-around great sport for a family or group of friends. You get to enjoy a bit of friendly competition, get in some walking, and make a few memories along the way. If you’ve only experienced mini golf at the seashore, be advised they are popping up everywhere, from the suburbs to indoor venues, all over the country. Glow in the dark rounds and puppy golf are fun twists on the classic game, and you’ll find fun course themes ranging from nautical to historical, monsters to astronauts. Just remember, it’s okay if you’re not up to par! This isn’t the PGA, people. Splitting into teams and chasing after your friends playing laser tag is what weekend afternoons are for! If you’re a kid of the ’80s, this scene will bring back memories. Separate into teams, dress in dark colors, and go! The game is on. Laser tag takes regular tag to the next level. You’ll have the best time if you head to a local venue that has cool indoor variations of the game. Pro tip: don’t wear white! The black lights used indoors will give your position away. These edgy laser tag spots have cool obstacles to overcome. You’ll need to strategize with your teammates before the game begins to outwit your opponents. As a less intense version of paintball, laser tag is exciting for kids of all ages. Take your nieces and nephews and have at it! You’ll be the coolest aunt or uncle around. Reading the clues and searching for the treasure puts your mind to work. You’ll have to read between the lines, interpret the map, and outwit the others to beat them to the treasure. Luckily, you probably won’t run into pirates as you search for the gold! 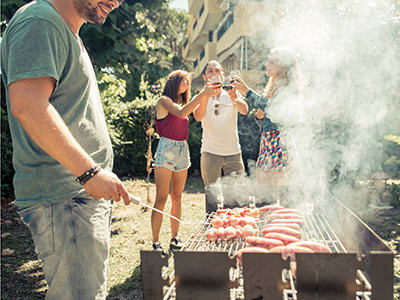 Round up a group of friends and set out on a premade treasure hunt through an app or website or find a local spot that will set up one for you for a fee. Treasure hunts and scavenger hunts are back in vogue and new variations are popping up all the time. To DIY your own, make a list of items, within a household or city-wide, and run a photo scavenger hunt. Each player or team will have to take a photo of every item on the list. The first team to successfully do so wins. Was hot chocolate one of your favorite treats as a kid? Try this Spike Hot Chocolate with Salted Caramel Whipped Cream.